The Danfotech Type 8-35 presses bellies by means of a die set, in shapes that correspond to the desired finished product. 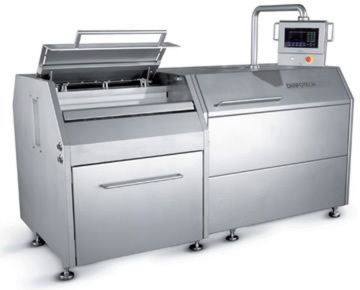 The frozen meat is molded in the hydraulically operated press, where it is exposed to three-dimensional pressure to attain uniform shape and quality for maximized slicing yields. 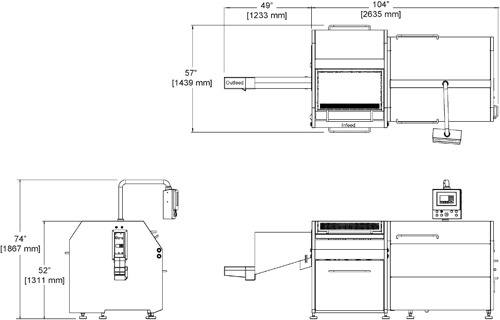 The 8-35 bacon press offers automatic infeed and discharge options with various ancillary systems available. Maximize slicing yields at optimal temperatures ranging from 14°-25° F (-10° to -4° C) depending on salt content.